Here is a pic from a few days ago at one of my stands in SC. 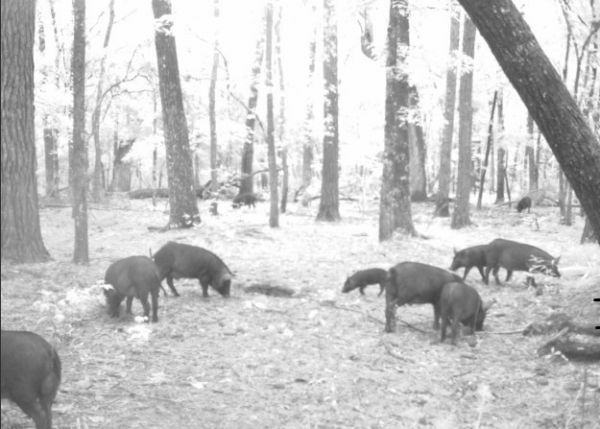 Most of the hogs are feeding under my feeder, but the ones in the background are either feeding on acorns or muscadines. They have a large area under a couple of old live oaks torn up. I noticed some green muscadines on the ground so am not sure whether they are after them or the acorns. Pic was taken around 4:00 PM on 6/28.